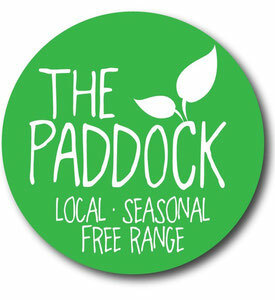 The Paddock offers you the choice to sample some of the finest home-made, handmade, fresh, locally produced food the region has to offer through our local produce hamper! This is a great gift idea, or maybe you are visiting the region and want to sample some of what this wonderful corner of England has to offer from some of the award winning producers without the hassle of having to go out and get it! Whatever the reason, this is an excellent option for those special occasions when great tasting local produce is a must! Treat yourself or someone you love. A great way to sample the full range from The Paddock, and all delivered direct to your door for only £50. Why not order some tasty treats to your holiday cottage or impress those friends coming to stay for the summer BBQ! Presented in a classic reusable wooden hamper tray or reusable hessian/Jute bag. Please browse the links on the left hand side for full info on all of the products. Once you have made your mind up, please email laura@thepaddock.org.uk to order and state which cheese, chutney, jam, balsamic vinegar and salad dressing you would like from the links on the left hand side (all subject to availability). Please provide your full name, delivery address and postcode, any special requirements or delivery instructions and a contact telephone number. We also create speciality hampers for special occasions such as Christmas and we can make hampers up to order, please email laura@thepaddock.org.uk with your requirements to receive a free quote for your perfect hamper including free delivery!